iPhone XS Max has been on shelves for a couple of weeks, but I heard many feedbacks from users about bugs and problems on the new Apple new flagships. While iPhone XS Max is mostly good, there are still a number of issues that are plaguing the device including widespread problems. I’m not sure when Apple will release the next iOS 12 patch update, but the iOS 12.1 beta is now available. So, it needs a few weeks before the official update is released. Fortunately, you can fix most currently common problems on your iPhone XS Max without visiting the Genius Bar. I’m going now to take you through fixes for common issues on your iPhone XS Max. Let’s see! Press & hold Volume Up button and quickly release it. Press and hold the Power button until you see the Apple Logo on the screen. Your iPhone XS Max should now reboot itself. Once it turns back on, you can try the process again. If the iCloud Restore problems still persist on your iPhone XS Max, you should create a local backup on your computer, and then restore this backup on your device using iTunes. Similar to iPhone X, the iPhone XS Max also has Face ID unlock instead of the traditional Touch ID. With FaceID, you can easily unlock your phone using your face and the help of the front-facing camera. 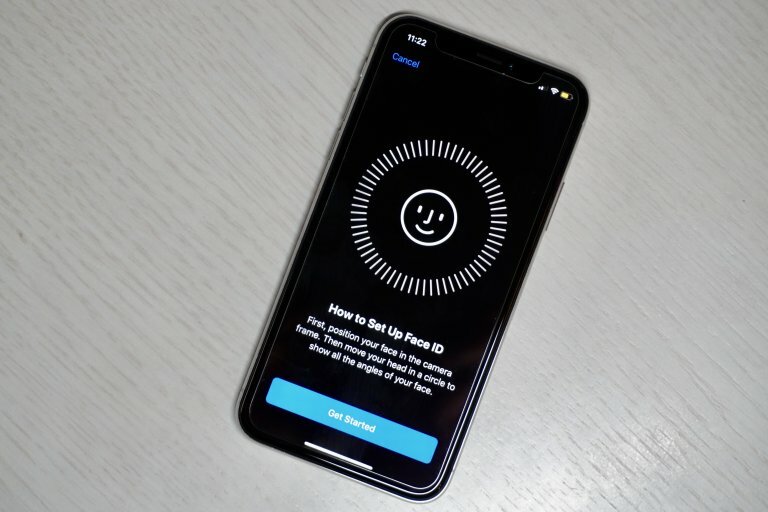 From iPhone X, Face ID has been becoming a common problem and I’m still seeing the issue popping up for iPhone XS Max users trying when setting their phone for the first time. If your iPhone cannot scan your face for Face ID, you should let your phone scan your face in a well-lit room. You should also bring your iPhone XS Max closer to your face so that it can scan your face better. Some users have faced issues with the feature after completing the setup. If you have problems with unlocking your device using your face, ensure you actively look at the screen. Over time, Face ID will automatically learn your face as well, so if you constantly change your look, you should scan your face again. Some iPhone XS Max users have started noticing Bluetooth issues on their phone when they were not able to connect to their Bluetooth devices. If you are also in the same difficulty and can’t wait for iOS 12.1 update, here are a few things you can try. Launch Settings on your phone and tap on Bluetooth. From there, choose the Bluetooth connection that is having issues by tapping on the “i” icon. Tap on Forget this Device and then reconnect Bluetooth devices with your iPhone again. In case you cannot connect your iPhone XS Max to your Bluetooth device, then you should try resetting Network Settings from Settings >General > Reset. After that, try reconnecting your iPhone to your Bluetooth device. You can also try resetting the settings to its factory defaults. To do so, you simply go to General > Reset > Reset All Settings. But you should note that the process will remove all stored Wi-Fi passwords on your iPhone. It seems that there are more iPhone XS Max users dealing with Wi-Fi problems. Some users have troubles with connecting to their network, while others complain about slow internet browsing problem. If you see your iPhone XS Max suddenly can’t connect to Wi-Fi or if you’re noticing internet browsing problem, you should reset your device’s network setting by heading to Settings > General > Reset > Reset Network Settings. Another method you should try is to check your router as well as your Internet Service Provider for an outage. You can use DownDetector to report about your ISP since an outage might be occurring in your area. If an outage is not the root of the problem, then check your router. Simply unplug your router for a couple of minutes and then plug the power cord back in. The iPhone XS Plus features an OLED display, which is so beautiful. However, it’s prone to burn-in issues. 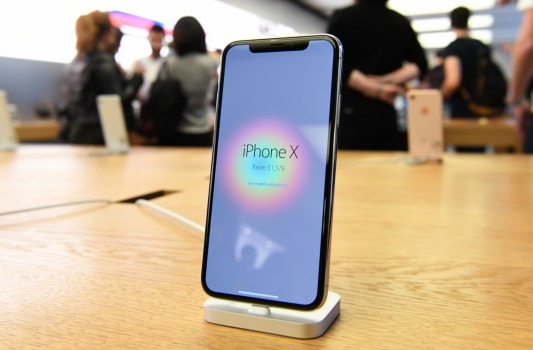 When the iPhone X was released last year, Apple noted that the OLED display could cause “image persistence” or “burn-in” over time. It means you could see a static image burned into your iPhone screen if the display is on for a long time. While that’s a common problem with OLED panels, it could also impact your iPhone XS Max if you aren’t careful. Software updates from Apple cannot fix the issue, but there are still a few ways to help you avoid screen burn-in on your new iPhone. From there, tap on Auto-Lock and set a shorter time. Furthermore, reducing the brightness can help keep screen burn-in to a minimum. You can follow below methods to do that. Open up Control Center by pulling down from the top right and manually adjust brightness slider. Enable Auto-Brightness option by going to Settings > General > Accessibility > Display Accommodations and toggle the switch to on. You have a Qi wireless charger, but you see the wireless charging stops working on your iPhone XS Max without knowing any reason. That time, you should remove the case first before charging your iPhone if you are using one for your phone. If not, go to Settings > General > Reset > Reset All Network Settings to fix wireless charging issue. Additionally, you should also make sure your wireless charger for your iPhone XS Max is Apple certified. You can check it through Apple’s website. These are common problems happening with iPhone XS Max as well as solutions to fix them. If there are other problems happening with your iPhone, let’s know in the comment, we’ll find out solutions for you.